You are here: Home / Movies / PLANES / Disney PLANES Movie Review Plus Printable Activities For Kids! 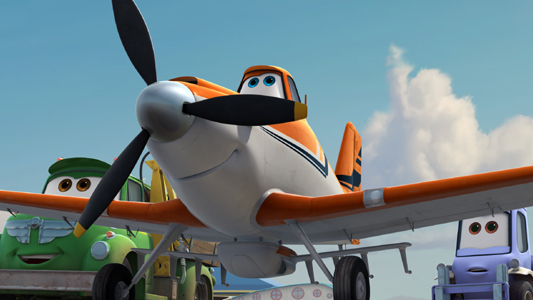 The new Disney movie PLANES is about Dusty, the character named above, and his desire to win an international aviation race. Being a crop duster, he isn’t exactly built to race, and he’s afraid of heights, but he’s determined to overcome his obstacles and soar toward his dream! My 5 year old son and I had were invited to a pre-screening of the movie. We’d been looking forward to seeing it for months! We’d watched the videos, and already knew the names of the characters prior to stepping foot in the cinema. The beginning of the movie has a Top Gun-ish type scene, which is super fun. There are also a few scenes where they show Dusty on an aircraft carrier, similar to the USS Midway, which are also super fun for this San Diego native. 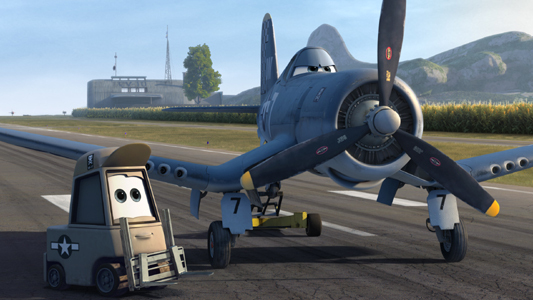 PLANES Is Full of Character! 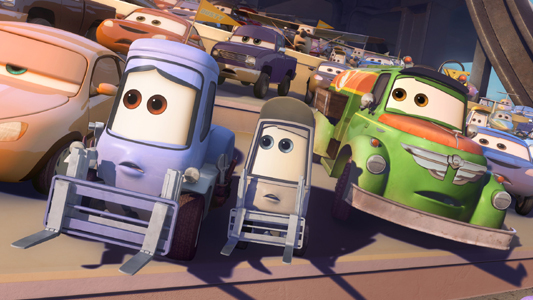 The characters in PLANES range from different planes to assorted vehicles, very reminiscent of the lovable personalities from the Disney movie Cars. 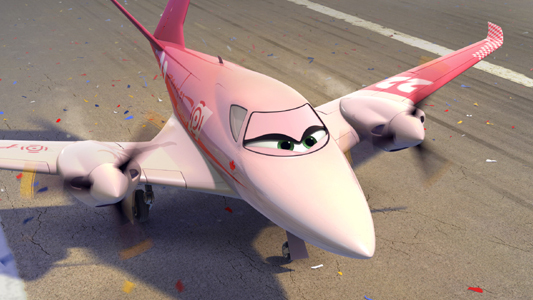 In fact, you’ll likely recognize a few making appearances in PLANES. My personal favorite character from PLANES is El Chupacabra. He has the charm of “El Buzzo”, the Spanish version of Buzz Lightyear from the Disney movie Toy Story 3. 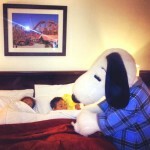 I loved him! Our son’s favorite character was Dusty. He liked that he was nice, and that he was a crop duster that had to work hard for what he wanted. Kind of big thoughts from an almost 6 year old, but cool that he picked up on that important aspect of the movie. 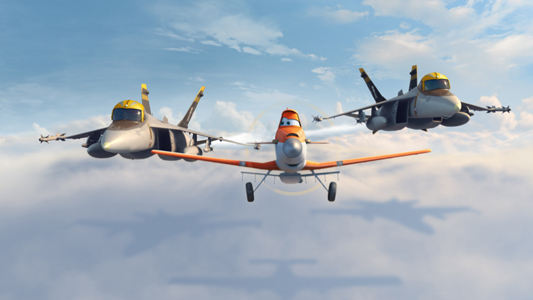 Fun & FREE Disney PLANES Activities For Download! 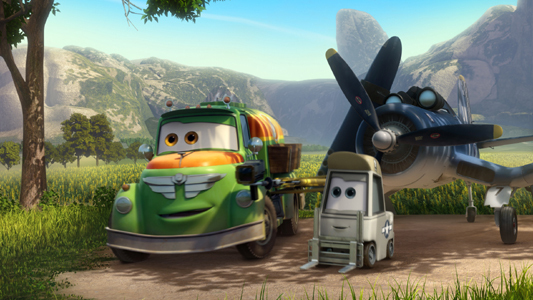 Below are some links to fun and FREE Disney PLANES activities for kids. 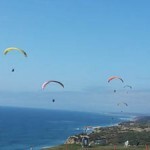 Just click on the buttons below to download the PDF files, which you can print for some Summer fun! Activities include PLANES Airplane Bingo, an Aviation Registration & Pilots License, drawing & coloring pages, and a maze game. 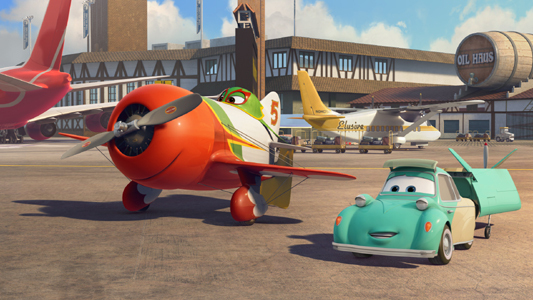 PLANES Soars Into Theaters, Beginning August 9th! All in all we enjoyed PLANES, which opens in theaters, in 3D, on Friday, August 9, 2013. Our son told me he actually liked it more than Cars! By the way, he did just fine with the 3D glasses, provided by the theater. Our daughter wants to see it too, so we’ll likely see it again before the end of the Summer. Perhaps we’ll see you there! Disclosure: We were invited by the Disney® Studios to attend an advanced screening of “PLANES”. Our opinions are our own. Many thanks to Walt Disney Studios for the opportunity to view the film! Thanks, Becky! I think those printables are great, & perfect if someone were to have a PLANES themed party. Love that you included them, as well as the game links in your post. We’ll have to get our little guys together soon!